Has there ever been an occasion where you find the right outfit online, but hesitate in buying it because you’re not sure of how it fits? Well, if Amazon has its way that could soon change. The world’s largest online retailer has just got a patent for a new Smart Mirror technology. 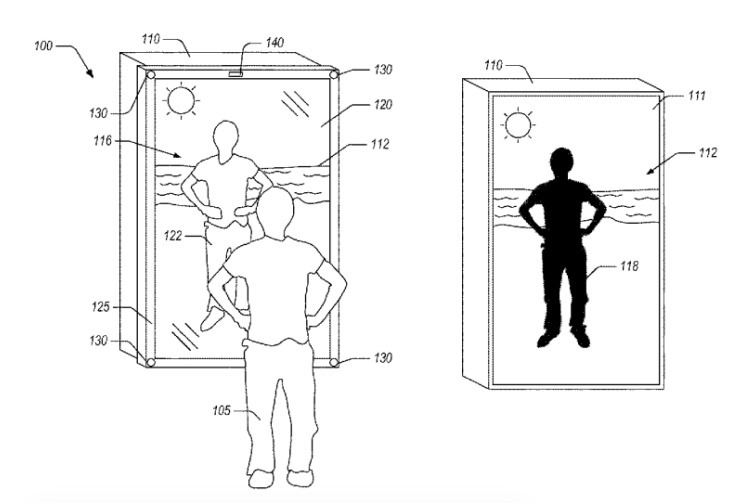 First spotted by GeekWire, Amazon’s Smart Mirror patent states that it relies on blended-reality technology, which loads your 3D image on to any virtual scene and lets you to try out clothes virtually. It would also allow you to display your transmitted image in front of different scenes, such as a beach, dance floor or even a conference room, so you can actually check how your clothes would look in that scenario. Speaking about the technology, the patent describes the smart mirror as partially-reflective and partially-transmissive. The mirror relies on a mix of cameras, projectors, displays, mirrors, and lights to create your blended image. This system will scan your surroundings to create a model and reflect illuminated parts of your body (such as the face and eyes) before you try on virtual clothes and flaunt your style. As pointed by The Verge, this tech has the complete scope of becoming a reality as Amazon had acquired AI and computer vision company called Body Labs last year. Body Labs’ tech is capable of creating and tracking a 3D human model to virtually dress them up. This could be an upgrade over a similar but less-advanced feature introduced via Echo Show. Once this blended-reality technology comes to fruition in the coming years, it will not only put an end to frustrations with online fashion shopping but enable other functionalities as well. The ‘Smart Mirror’ may come in handy for holographic interactions, displaying a 3D image of your friends, to let you have an “in-person” talk. Wouldn’t that be just fantastic?